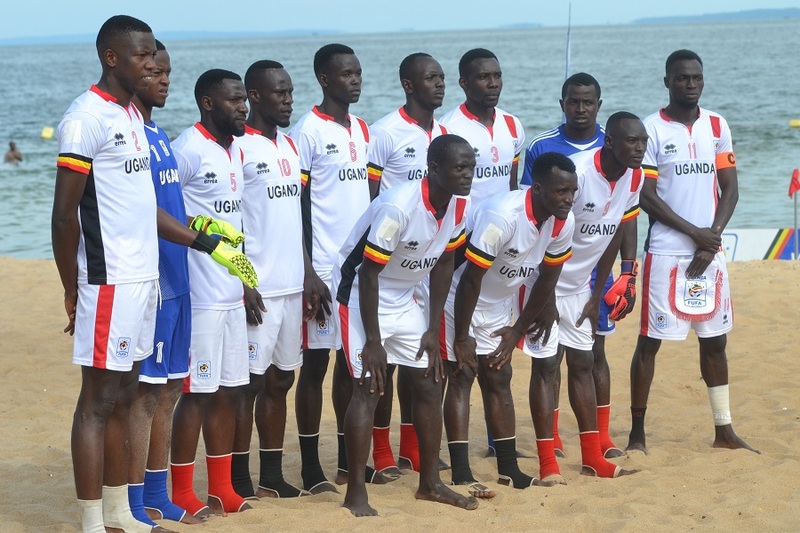 The Uganda Beach Soccer National team, Sand Cranes were dealt a major blow in their bid to reach a first ever AFCON tournament as they lost to Ivory Coast. The Sand Cranes fell short 3-1 to their visitors in the first leg of the qualifiers played at Spennah beach-Entebbe on Sunday. Ivory Coast scored through Eric Bile, Daniel N’guessan Kouassitchi and Frederic Aka Kablan. Uganda’s team captain Douglas Muganga scored the consolation for the hosts in a physically well contested duel. After the game, Sand Cranes coach Salim Muwongo was optimistic the deficit can be over turned in the second leg. “We have created a couple of goal scoring chances although we did not utilize them, said Muwonge. “We played against a side that has played at the CAF final championship a number of times and we have learnt from the mistakes done and vow to improve before the return leg. “The 1-3 margin can be easily overturned during the return leg. The winner between Uganda and Ivory Coast will qualify for the tournament proper later this year in Egypt. They will face-off in the second leg of the qualifiers on September 21st, in Abidjan.